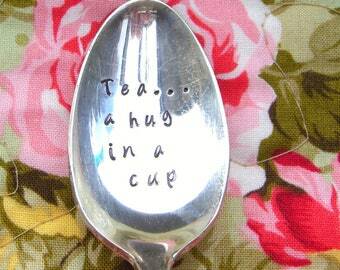 Pretty little vintage teaspoon. 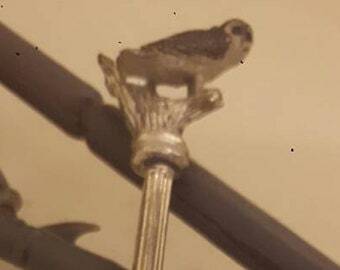 Hawk on the handle. W.A.P.W. 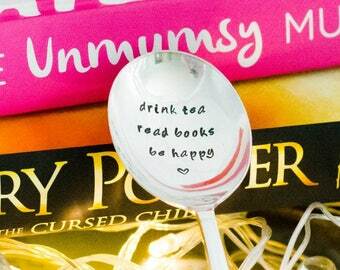 Stir Things Up Tea Spoon. 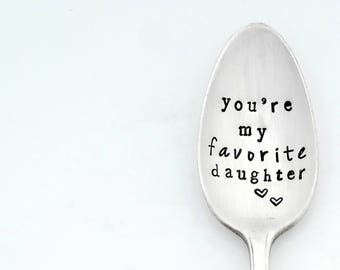 Hand stamped spoon. 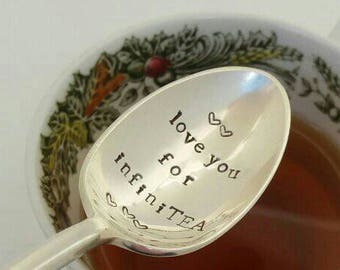 Tea spoon. Coffee spoon. 1940 Pattern name is Vintage 4 in. teaspoon turned into a fun brooch. 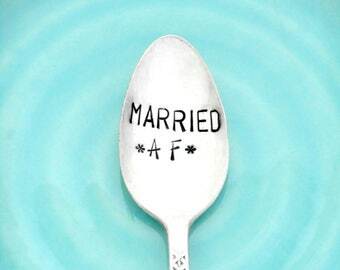 you are f*cking beautiful hand stamped spoon. 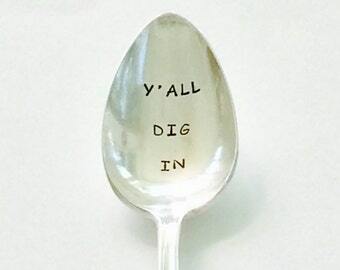 Hand Stamped Vintage Teaspoon. Sarcastic Gift for her. Swear words Coffee Gift. Tea Gift. 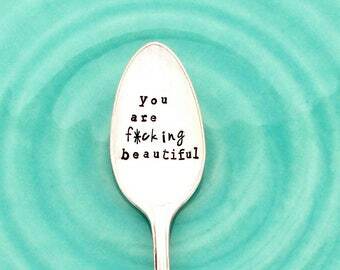 Hey Sugar spoon. 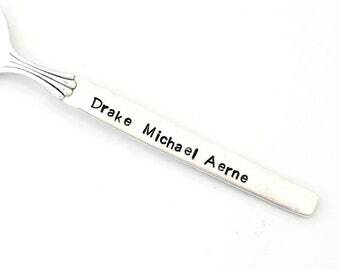 Hand stamped sugar spoon. Sugar server. Faith - hope - coffee - hand stamped coffee spoon - hope gift - faith gift. 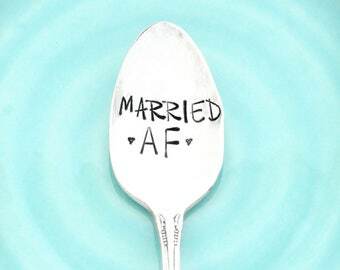 MARRIED AF Stamped Spoon. 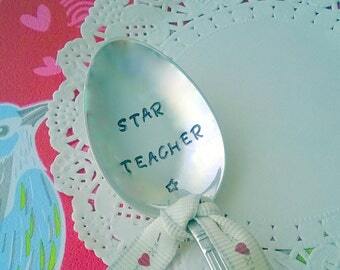 Hand Stamped Vintage Teaspoon. Sarcastic Gift. Wedding Gift. Engagement Gift. Anniversary Gift Idea under 30. 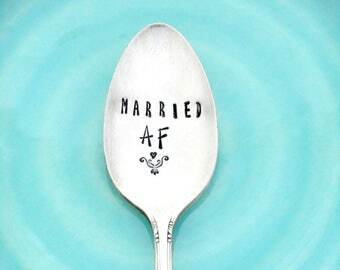 Eating For Two, Hand Stamped, Vintage Spoon, Pregnant, Engraved Spoon, Stamped Spoon, Baby. 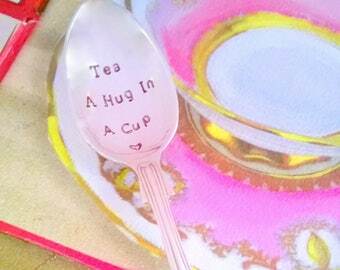 Hand Stamped Spoon, Personalised Vintage Teaspoon, PERSONALISED Teaspoon, CUSTOMISED Teaspoon, Customised Gift, Stamped With Your Wording!